With its tall steeple visible for miles around, the United Church of Westford has served as a beacon to residents and travelers for more than 150 years. But, as with so many rural New England churches, attendance on Sunday mornings has been in steep decline. The UCW congregation thinned so greatly that, in June, its members voted to cease worship services altogether. On Sunday, October 21, world-renowned pianist Artis Wodehouse will perform at the Westford church. Her concert is the latest in the monthly Westford Music Series, which the UCW envisions as a springboard to repositioning the church as a multiuse performance venue and artistic and social hub. That transformation coincides with a larger effort to develop the Westford town center. While the original UCW congregation dates back to 1801, since the early 1900s the church had accommodated a mixed fellowship of Baptists, Methodists and Congregationalists. Countless weddings and funerals as well as secular gatherings have been held in its sanctuary. The old white meetinghouse on the green, built in 1840, is both a physical and a spiritual fixture in the Westford community. "It's a landmark on our landscape, and it's a landmark in our hearts," says UCW board cochair Wendy Doane. She and her fellow board members intend to keep it that way. "For a small community, we have a remarkable performing space," adds Doane, who is also a member of the town planning commission. But no one realized just how remarkable until Wodehouse turned up. Since June, the New York City-based pianist, who also owns a home on Lake Champlain, has been an artist-in-residence at the church. Along with Whitney Slaten, an ethnomusicology professor at Bard College, Wodehouse spent the summer recording some previously unrecorded rare and earliest-known piano rolls by composer George Gershwin. 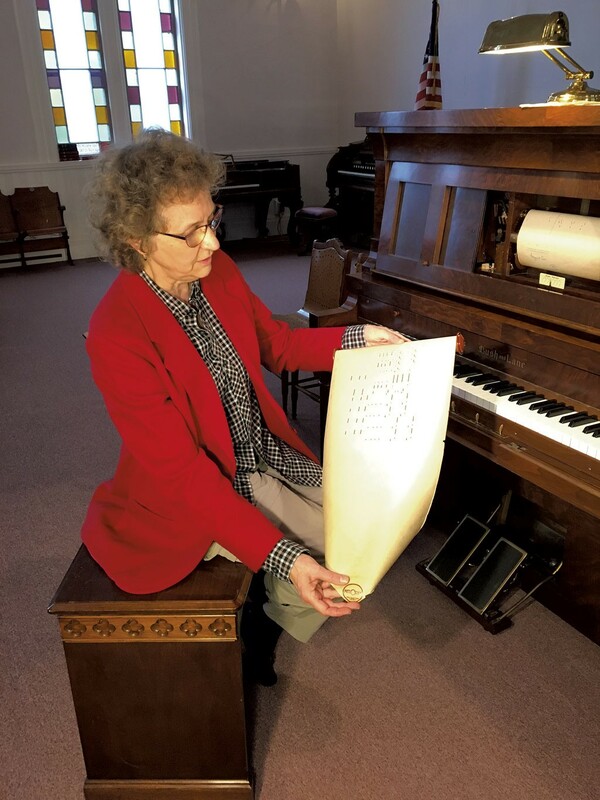 Her concert will feature selections from that project, performed on a 1912 player piano that Wodehouse had restored specifically for the recordings. She'll be joined by soprano Allison Devery Steinmetz and tenor Cameron Steinmetz. Wodehouse rose to acclaim in the 1990s when she released a pair of critically lauded and commercially successful albums of Gershwin piano rolls on Nonesuch Records. She says the United Church of Westford was the ideal location to begin the next chapter of that recording project. "This venue is remarkable because it's quiet and because of its acoustic properties," explains Wodehouse, noting that the sanctuary's cube-like shape, tin roof, plaster walls and curved back wall contribute to a perfect level of resonance for recording. "There is so much potential here," she adds. Doane admits she never considered the potential of the church as a recording space before Wodehouse's residency. But now she and the board see recording as one facet of the larger project of keeping the church doors open, along with hosting concerts and events such as weddings. "The goal is to not be a burden on the taxpayers — for [the church] to self-sustain," says Doane. "So many generations have brought their joys, their sorrows, their reflections here. And the building holds them. They're in its bones," Doane continues. "We have a responsibility to preserve that." The original print version of this article was headlined "Westford Church Finds Salvation in Music"